I am lucky to have a bunch of nature nerds for friends. Thanks to them, I often have opportunities to see a variety of wildlife all around our great city. The West Duwamish Greenbelt trail in West Seattle is currently home to two pairs of mated Barred Owls. 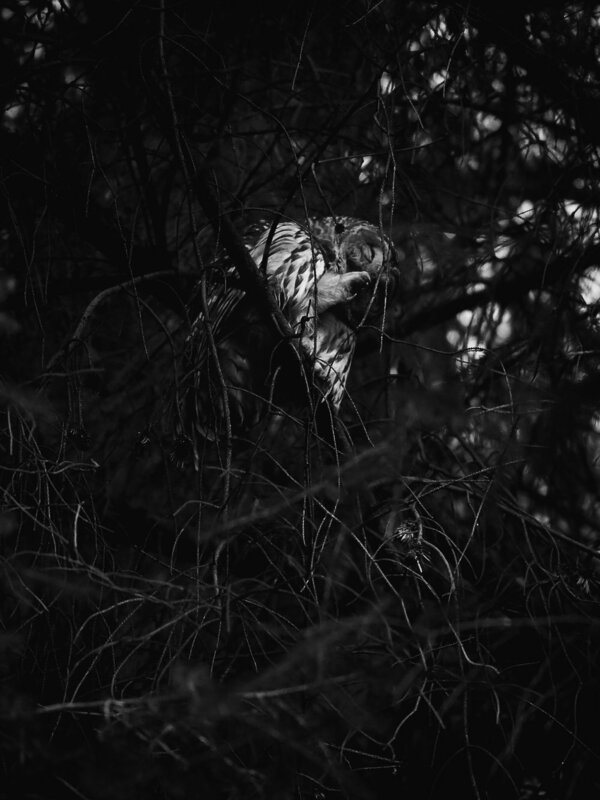 I had never seen a Barred Owl in the wild this close before..what a thrill! They are so magnificent. Soft and majestic. Photographing them has not been an easy task. Roosting up in the trees during the day, they are often in shadow and obscured by branches and pine needles. On most visits they are resting but I have had the pleasure of seeing them wake up to do some grooming and occasionally turn their heads to look at us. I can't wait to go back and visit them again soon.